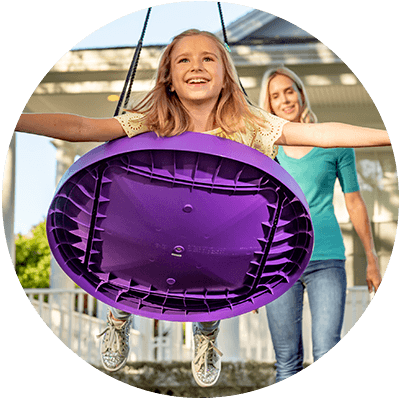 home | A NEW Spin On Swinging-Safer, Stronger and Way More Fun! 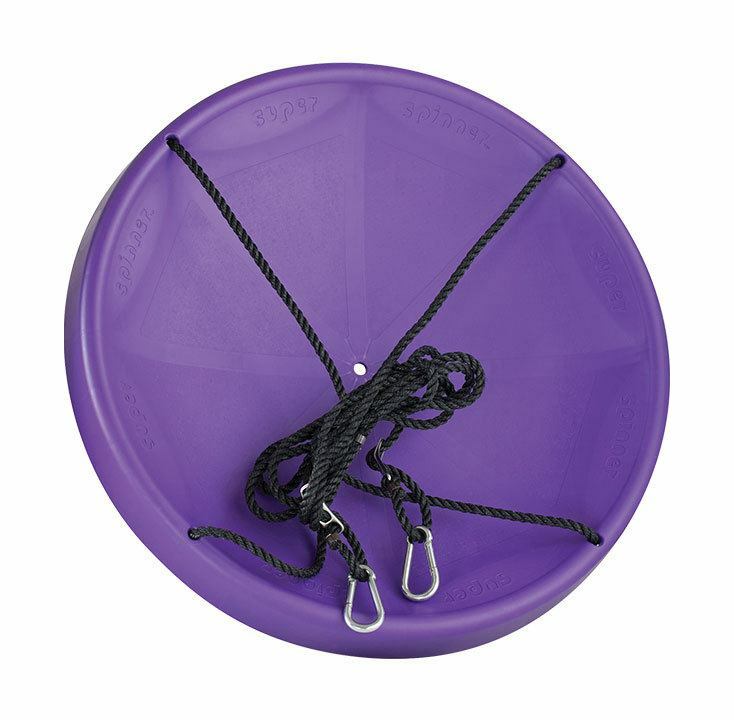 • Concave Shape Keeps You Centered in Place! 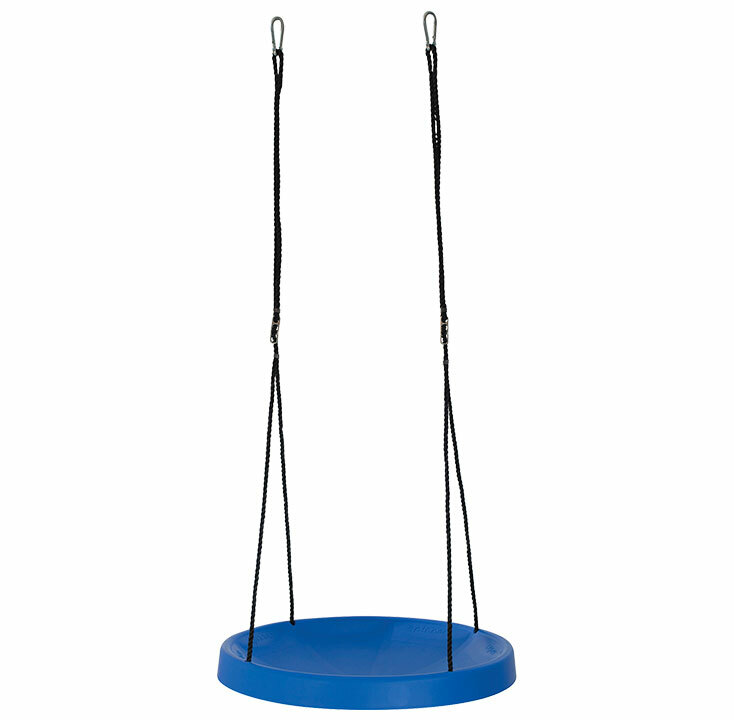 • Easily Holds up to 200 lbs. • Available in 6 Fun Colors! 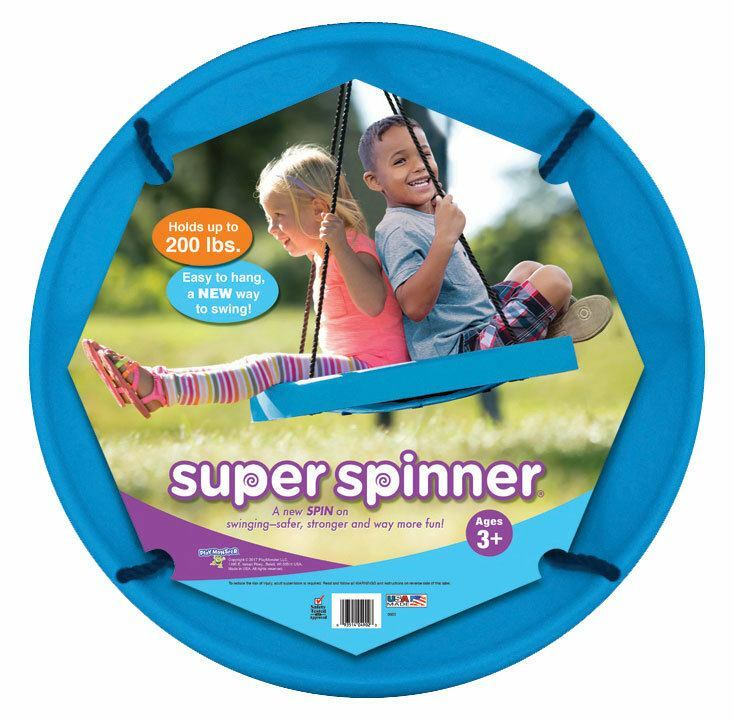 That Lets You Glide, Soar & Spin! 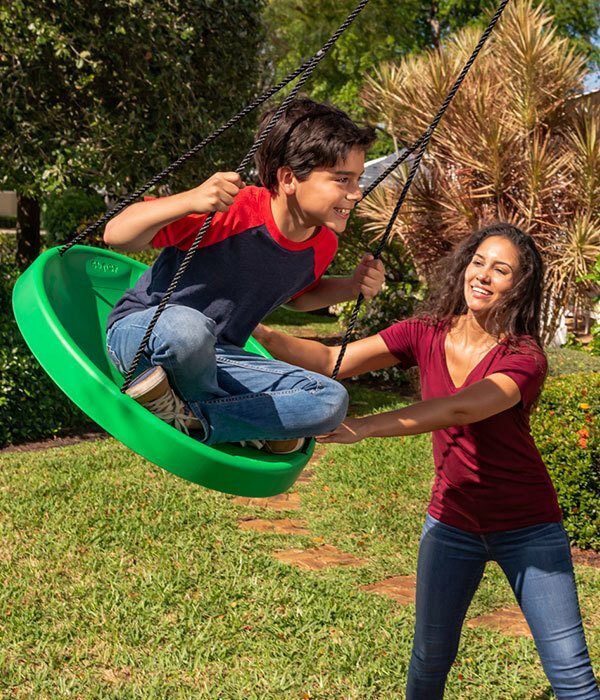 A New Spin on Swinging – Safer, Stronger and Way More Fun! 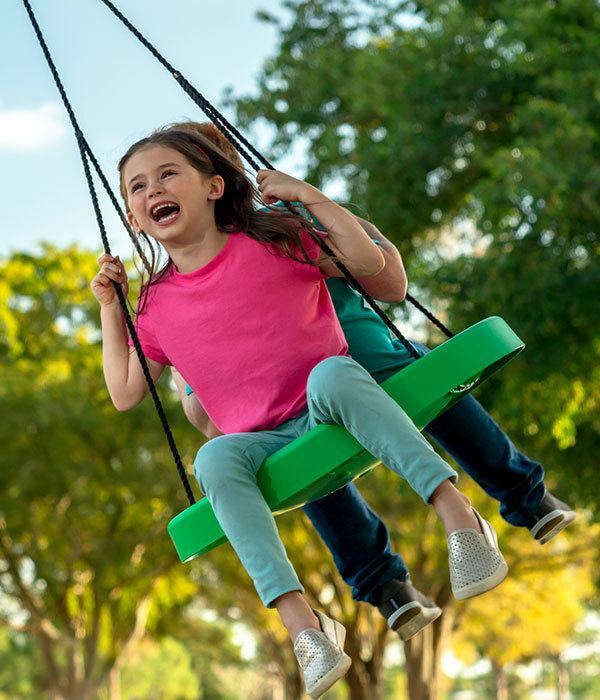 Strong enough to swing with a friend. Easily holds up to 200 lbs! 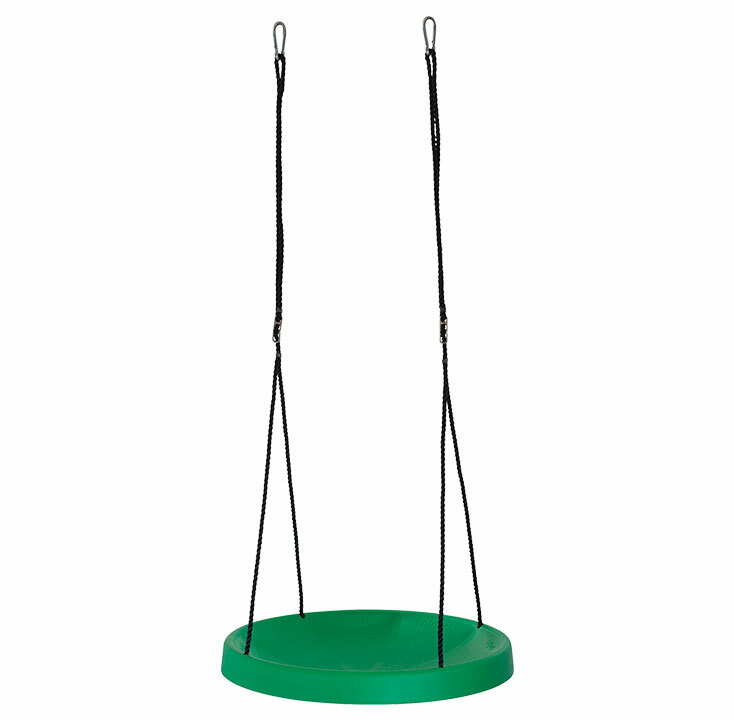 Easily attaches to existing swing set or tree. 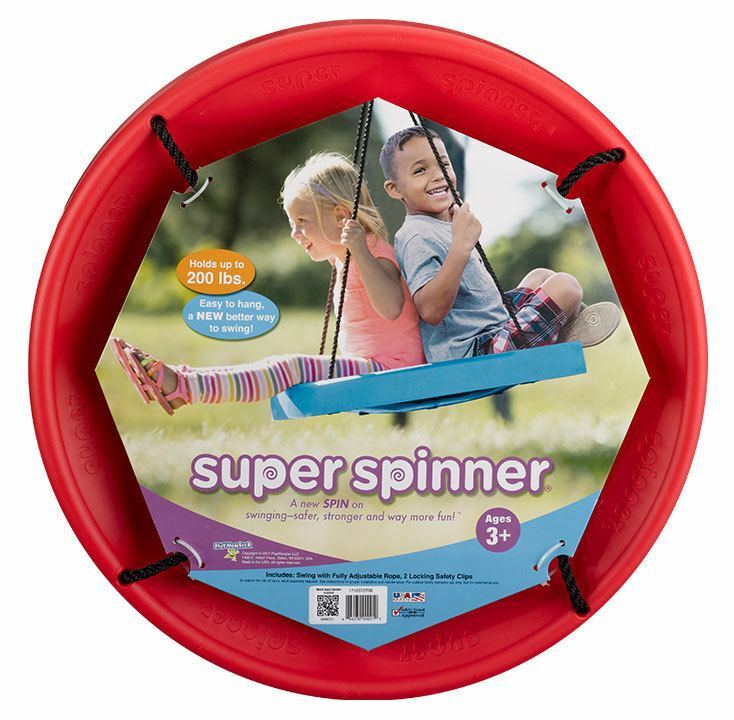 The 27” Super Spinner holds up to 200 pounds, and it has a patented design with safety in mind, so it’s super strong! 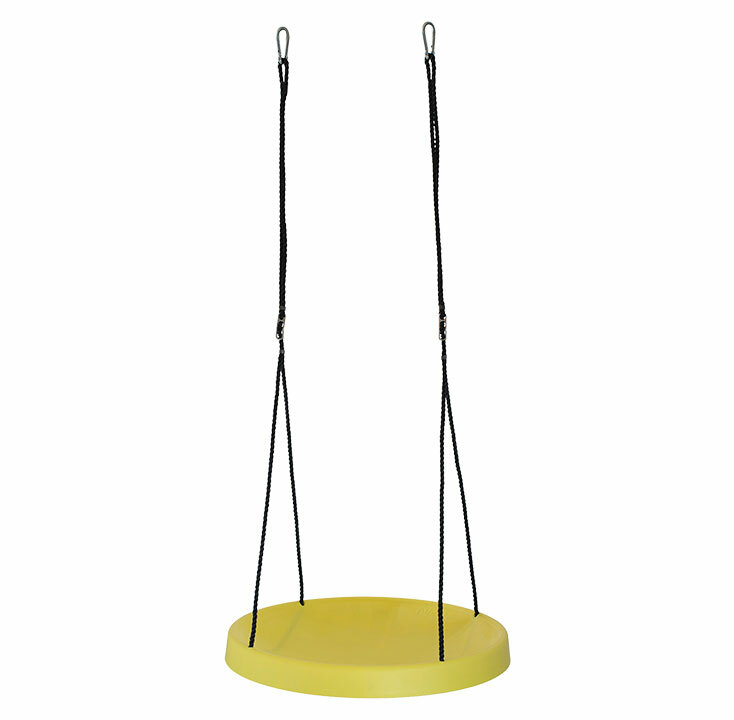 It features UV-resistant ropes and a comfy, concave seat that coaxes riders into the center. Plus, there’s a small hole in the middle to allow for water drainage if it rains. You Can Fly Wherever Your Imagination Takes You! Ride a roller coaster and race! Rocket past stars and planets through space! Sail on a ship over the high seas! Ride a magic carpet wherever you please! "This is a very fun and addicting swing. It is a hit with the young and the not so young. 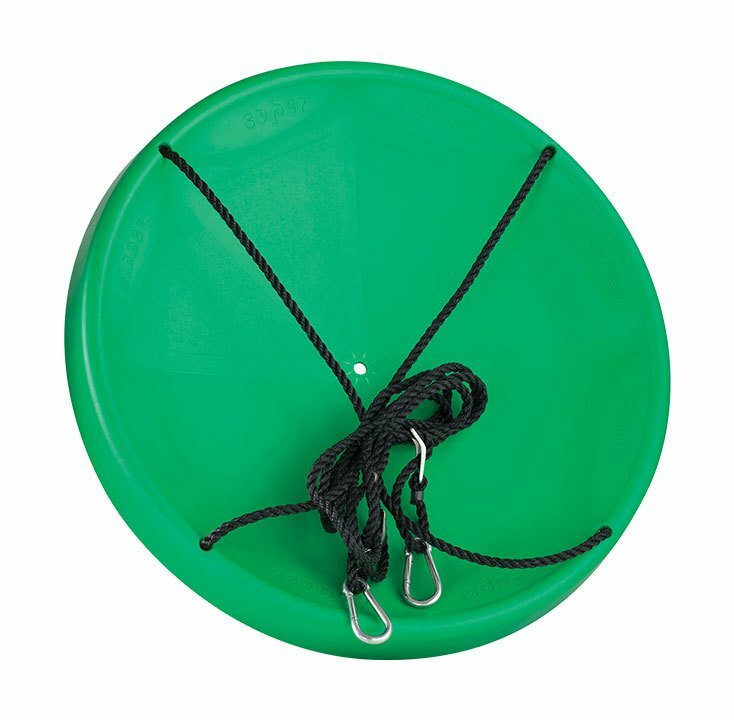 Easy to attach to an existing swing set or to a tree. 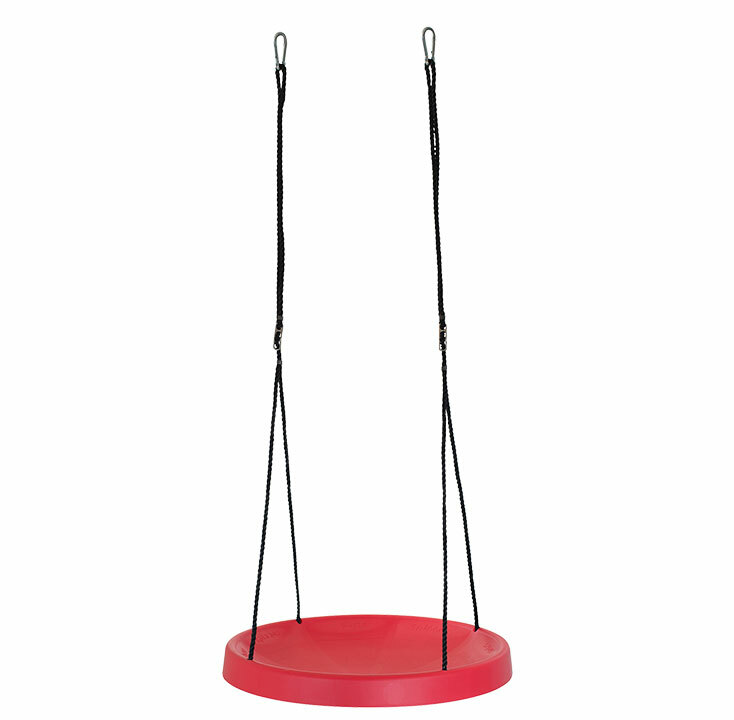 The swing is very sturdy and is built to last. 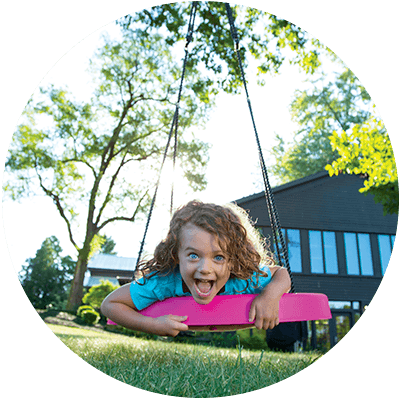 It has brought smiles and laughter to me and my grandkids. Wish I had purchased this earlier, such a good buy!  If you are thinking about this item then I urge you to go ahead, it is awesome." 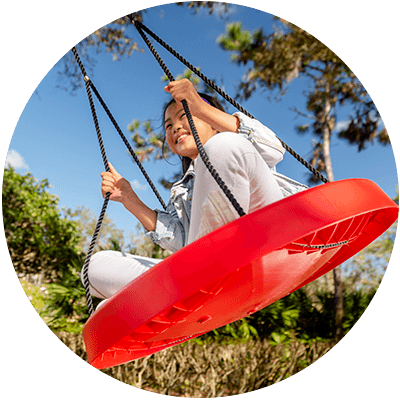 "This appealed more than a traditional tire swing for our young daughter and we thought the solid center would be a bit easier for her and her friends to use. We also liked the idea that she could lay on her back and swing. 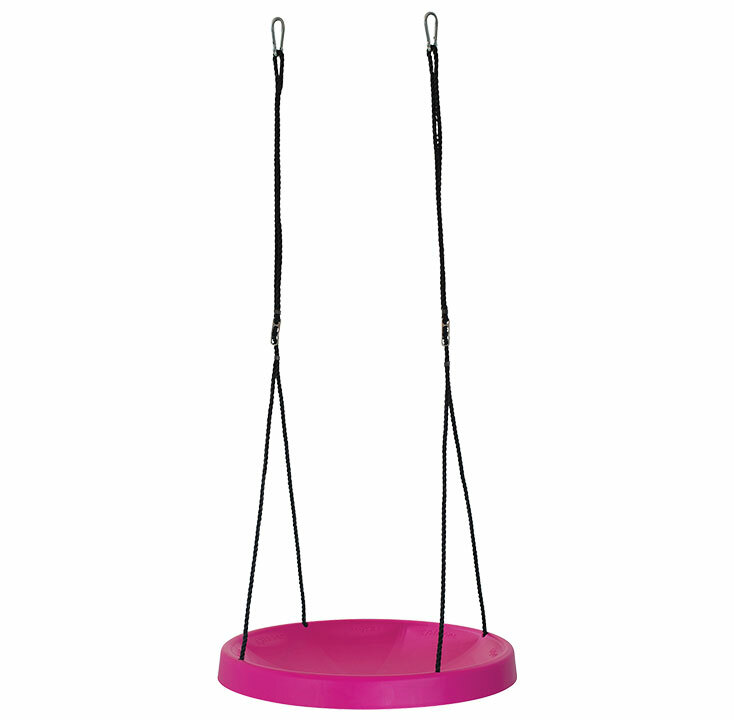 This swing is everything it promised and more--our daughter absolutely loves it! It's a nice size and very sturdy. The color is vibrant and fits in well. 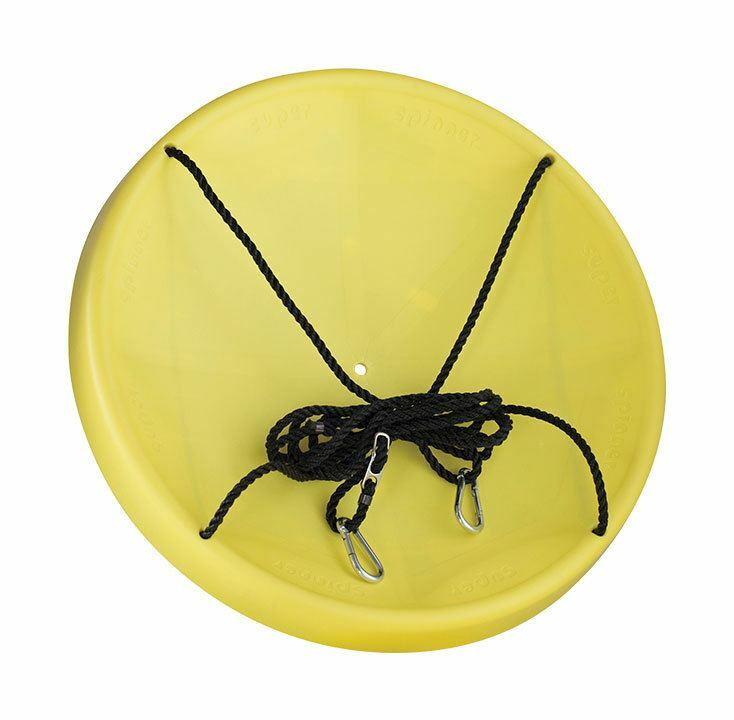 I like that there's a hole in the center to help water drain." 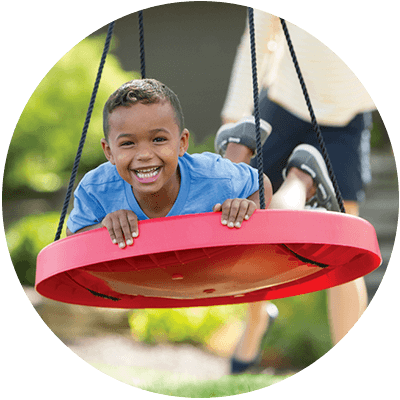 "Very pleased, fits all 3 kids on at once!" 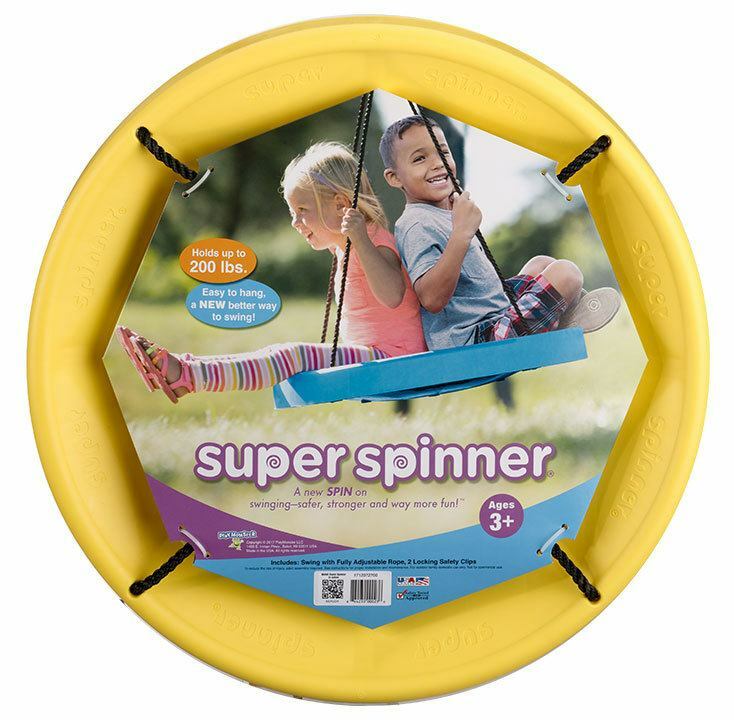 "The Super Spinner is a great new addition to our swing set. 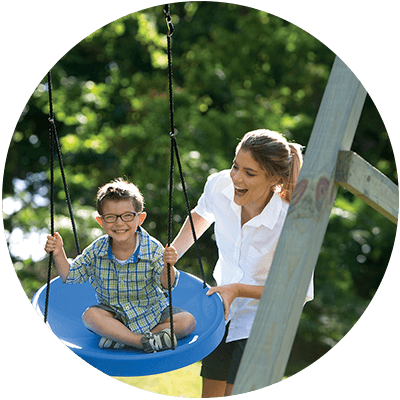 I love the cooperative play as three children (3, 5 and 7) all played together on it. I was impressed they all fit so nicely! 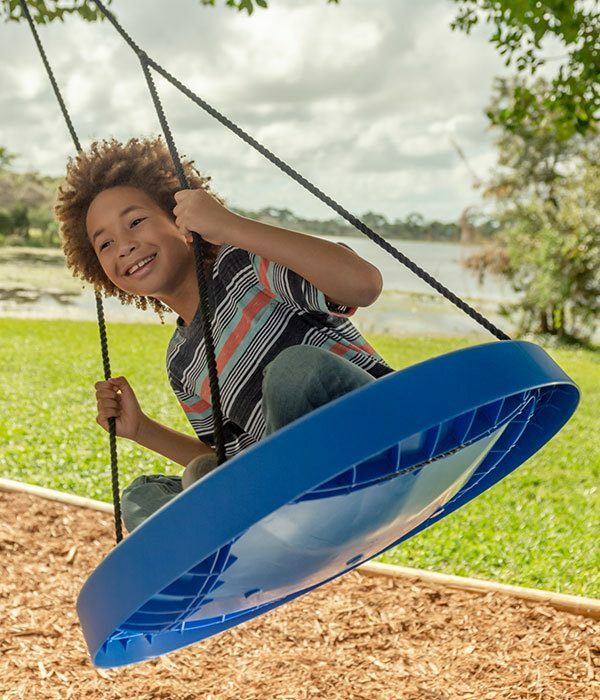 Highlights: ~ It comes with everything you need to hang from your swing set 1-2-3 ~ It has a drainage hole so the water doesn't collect in the swing! 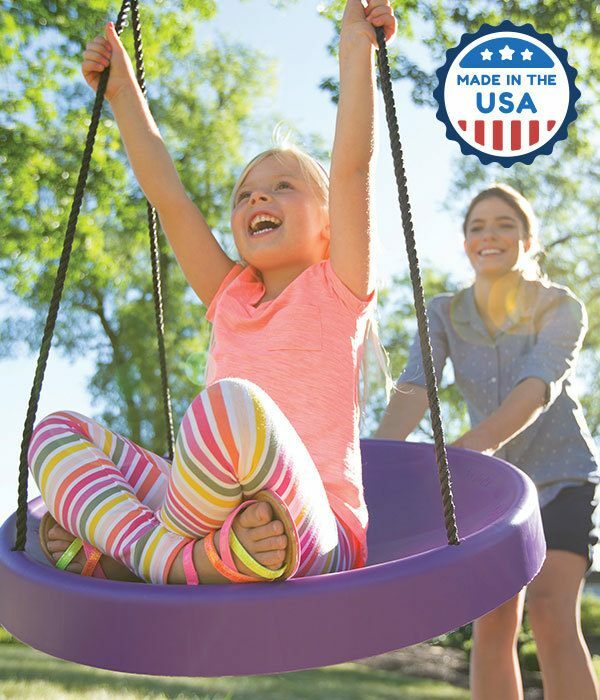 ~ Safe and fun swing for children of all ages! Even my 16 year old was on it! ~ Adjustable length rope - so you can have it lower to the ground if you like!" The Super New Swing That Lets You Glide, Soar & Spin! When you order today, your decision comes with peace of mind in knowing you are joining thousands of happy families that absolutely love Super Spinner. 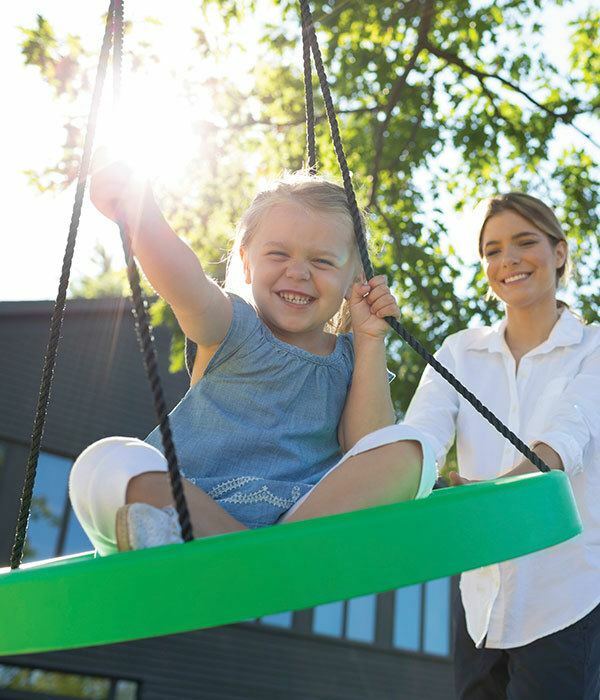 You'll get a fun swing designed with safety in mind, and it’s super strong! 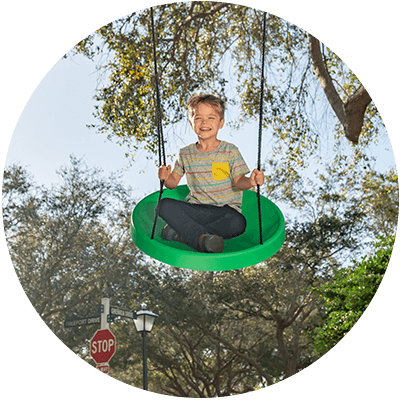 It features UV-resistant ropes and a comfy, curved seat design that coaxes riders into the center. 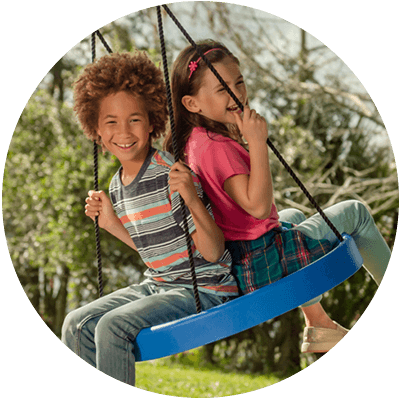 Get 10% Off + FREE Shipping on Additional Quantities!